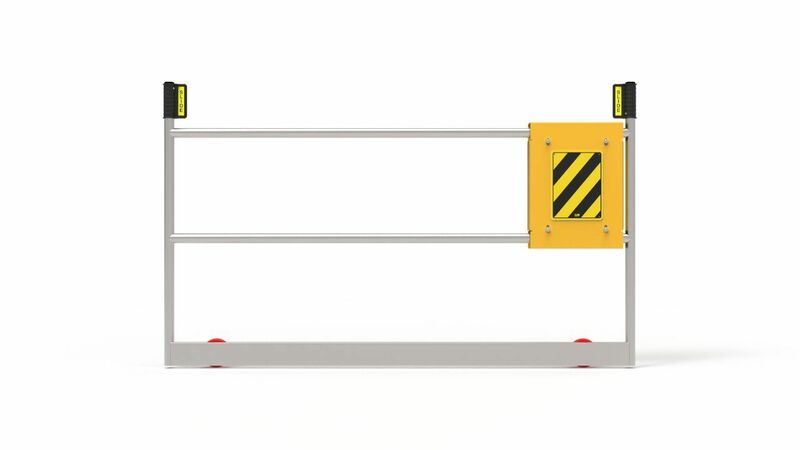 A rolling gate operating on a set of fixed nylon rollers incorporating a hand rail, knee rail and toe-board to comply with AS1657:2013. 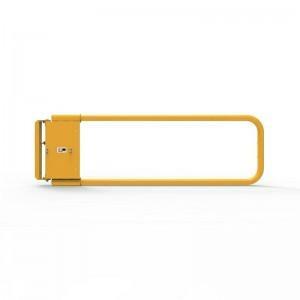 Manually operated with magnetic hold closed and available in two lengths. Model BFRG1500-PA for openings up to 1500mm and Model BFRG2500-PA for openings up to 2500mm. 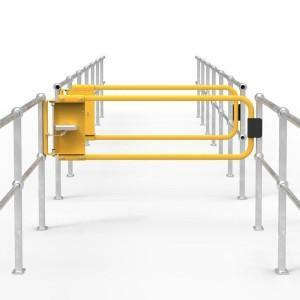 Compatible with most Ball-fence style hand rail Systems, it can be retro-fitted at any time. Ideal where there is no room for a swing gate.